Award winning comic publisher Storm King Comics announced today. 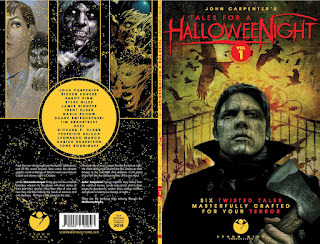 A horror comic anthology entitled John Carpenter’s Tales for a HalloweeNight (ISBN: 978-0-9853258-9-3) that has been put together by the King of Darkness himself, John Carpenter. The anthology includes an epic line up of artists and writers including John Carpenter (Prince of Darkness, The Thing), Steven Hoveke (Thor, Steamworld Chronicles ), Sandy King (John Carpenter’s Asylum, Vampires, They Live), Steve Niles (30 Days of Night, Criminal Macabre), James Ninness (Insanity, AZ, Chronicles of a Full Time Father),Trent Olsen (John Carpenter's Asylum), David Schow (The Crow, Texas Chainsaw Massacre), Tim Bradstreet ( Punisher, Hellblazer), Buzz (Wolverine, Dr. Strange) Federico DeLuca (Dorian Gray. John Saul's The God Project) , Leonardo Manco (John Carpenter’s Asylum, Hellblazer), Darick Robertson (Transmetropolitan, The Boys), Tone Rodriguez (John Carpenter's Snake Plisken Chronicles, Uncanny Xmen 100 Project) and more. The book will be full color 100+ pages and will be released by October 31st 2015. Fans can get sneak peak at the book Saturday October 17th at 2pm at Barnes and Noble at The Grove 189 Grove Drive K30, Los Angeles, CA 90036. 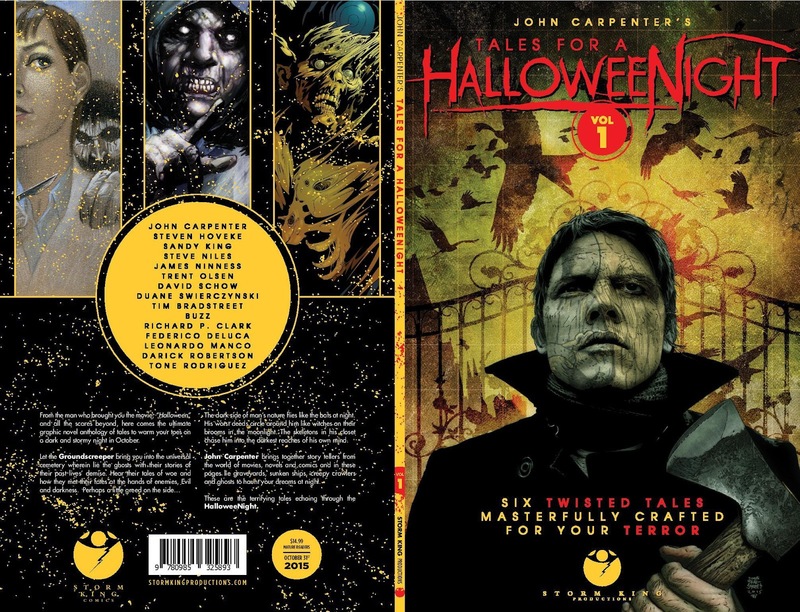 John Carpenter will be signing advanced copies of the book in time for Halloween!“This project kept growing and growing. The more word spread about the project through the creative community the more talent wanted to be involved. It's one of those books that you pick up because it's going to be fun and when you put it down, it's because you need to turn all the lights in the house on” explained Storm King Comics head Sandy King.